Cleveland Vegan Catering has been in operation since August 2012. We have expanded from renting a small commissary kitchen space to our own location in Lakewood. Our catering team is busy preparing for events, special occasions, weddings, holidays, and everything in between. 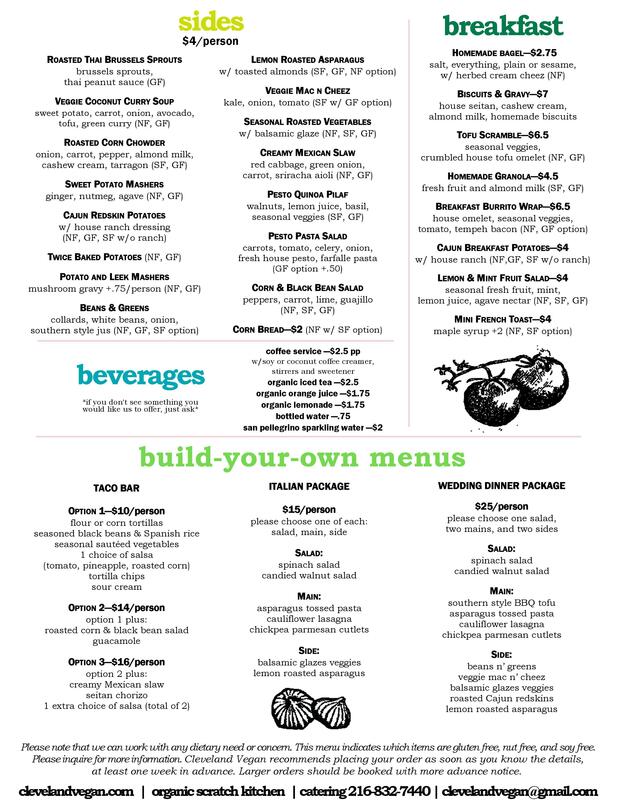 For more information, send us an email at clevelandvegan@gmail.com or call our catering line at 216-832-7440. 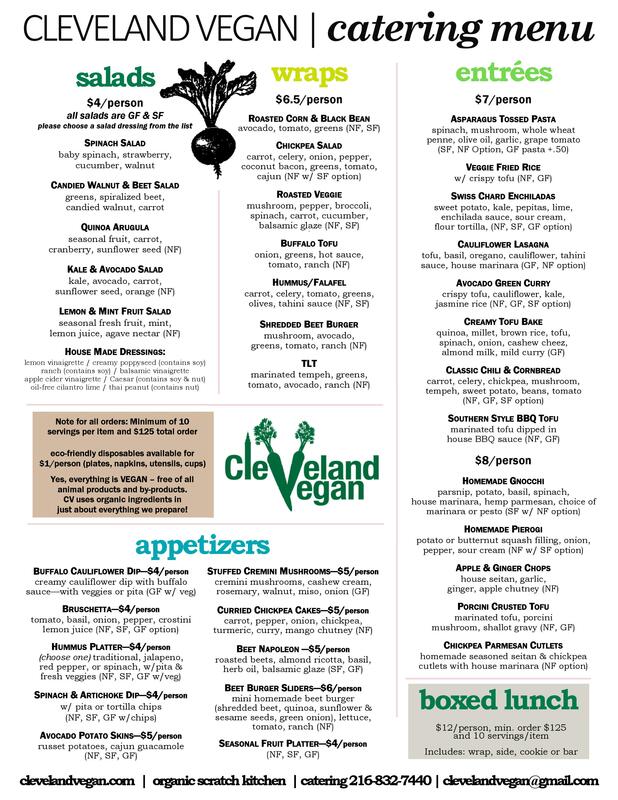 As soon as you know details for your event, please consider booking with Cleveland Vegan. For all catering orders, we typically need a minimum of one week notice; more notice for larger orders. Sometimes we can accommodate an order in less time if the catering team is not already booked.